Boehringer Ingelheim have made a new addition to opnMe their portal for free chemical probes. To foster innovation, we openly share selected molecules with the scientific community to unlock their full potential - all for free, no hidden costs. 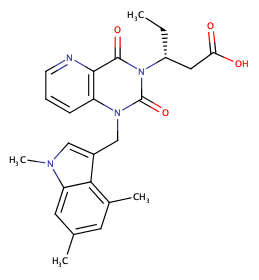 The latest addition is a potent Chymase inhibitor, Chymase is a chymotrypsin-like serine protease that is stored in a latent form in the secretory granules of mast cells. Upon stimulation, it is released in its active form into the local tissue, contributing to the activation of TGF-ß, matrix metalloproteases and cytokines. 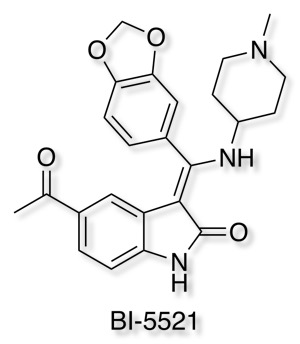 BI-1942 is a highly potent inhibitor of human chymase (IC50 = 0.4 nM) that can be used to test biological hypotheses involving this target in vitro. With BI-1829 we also offer a structurally close analog that is more than 1000 fold less active (IC50 = 850 nM) and can thus be used as negative control for in vitro studies. Recently Boehringer Ingelheim have decided to provide access to a number of chemical probes. Two new probes for BRD9 and BRD7/9 have been added. I've added them to the Chemical Probes page. One of the key challenges to exploring interesting targets is having access to high quality molecular probes. A number of organisations have go together to support Chemical Probes Portal which provides information and independent reviews of chemical probes. To foster innovation, Boehringer Ingelheim (BI) is openly sharing selected molecules with the scientific community to unlock their full potential. There are two types of Boehringer Ingelheim molecules that you can access on this portal: some for ordering, some for collaboration. These molecules cover a range of interesting molecular targets. 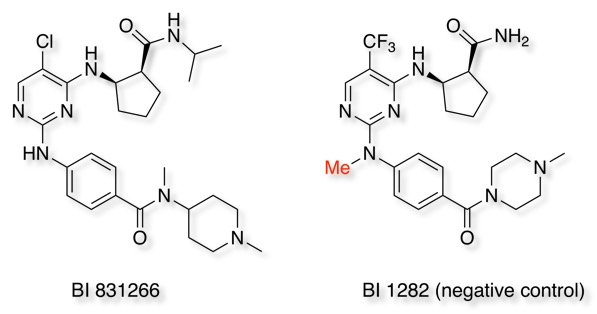 Looking at the selective Aurora B kinase inhibitor BI 831266, it is clear that BI is making available high quality molecules, they provide the structure, in vitro activity, together with both in vitro and in vivo DMPK data in multiple species. They also suggest a related compound as a negative control in which the N-Me serves to block the critical hinge binding. There is also a co-crystal structure and some counter-screening data, together with key references from the literature. Any data generated can be published without approval from BI. This looks to be a very exciting initiative and it will be interesting to see if other companies follow suit. 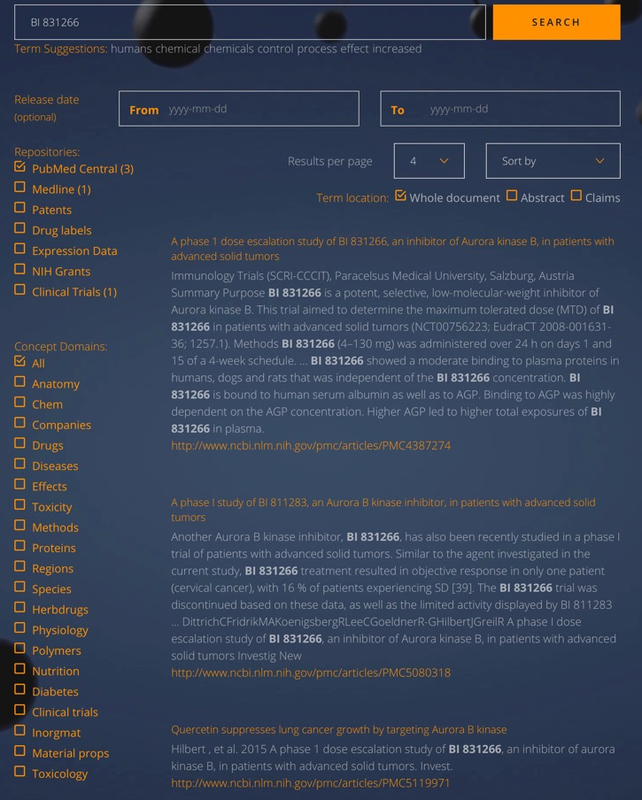 They have also created a search engine BI Miner to search multiple data sources simultaneously (PubMed Central, Medline, Patents, Drug labels, Expression Data, NIH Grants, Clinical Trials), this open access.